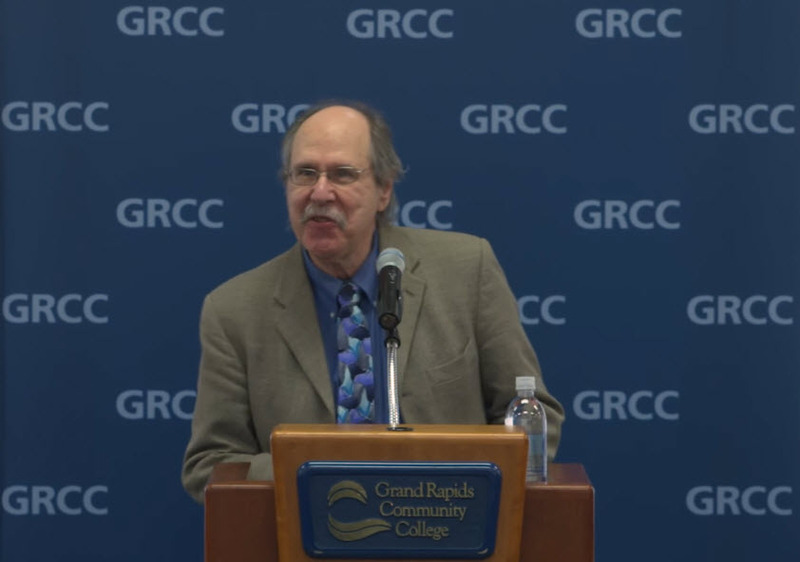 “Meet Dr. Paul Levinson, Author of Fake News In Real Context” is available on GRCC’s Youtube channel. 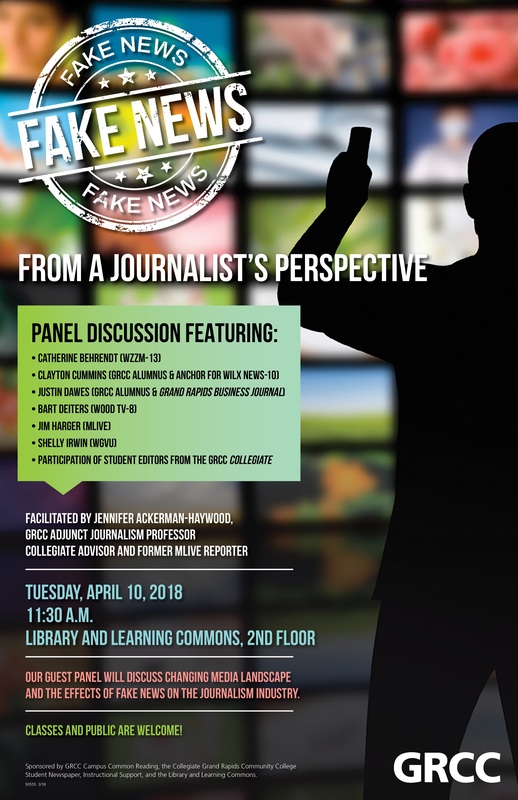 Fordham University professor, Paul Levinson, in his book “Fake News in Real Context” discusses fake news as it relates to the 2016 election and the current political climate. We had more than 60 people attend in person last Tuesday! 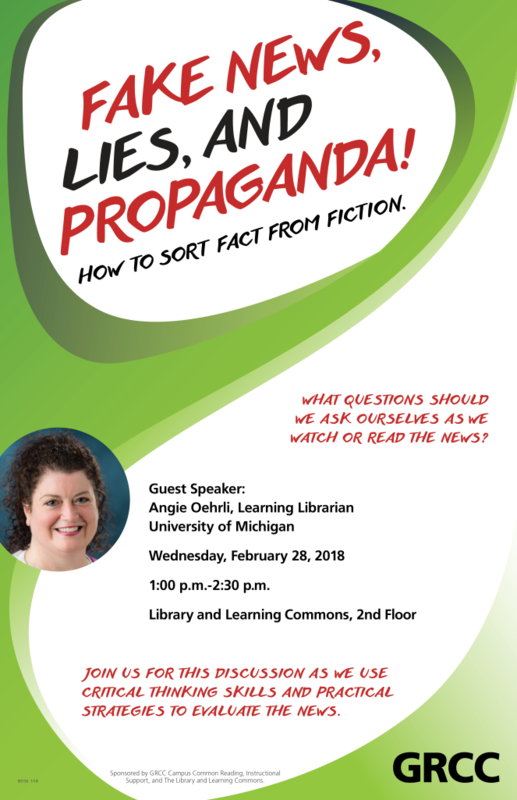 Sponsored by GRCC’s Campus Common Reading Committee, Dean’s Office for Instructional Support, Library and Learning Commons, Facilities, and Media Technologies. What questions should we ask ourselves as we watch or read the news? Join us for this discussion as we use critical thinking skills and practical strategies to evaluate the news. Wednesday, February 28, 2018 | 1-2:30pm | Library & Learning Commons 2nd Floor West | Snacks will be provided! This event is sponsored by GRCC Campus Common Reading, Instructional Support, and the Library and Learning Commons. Questions? Contact Antoinette (Toni) Harrington, 616-234-3555. Check out our Fake News Subject Guide.